Social media makes it easy for you to connect directly with your clients, prospects as well as bran representatives on everything from products and services to challenges. However, most marketers do not know how to build solid relationships with their online followers.The reason behind this is poor practices especially when it comes to brand engagement. This article looks at some of the best practices you should consider using for the best results when using social networking site. Most marketers, especially when starting up, do not know what to publish or share when striving for social engagement. More often than not, even big companies focus on publishing and sharing promotional updates. Things have, however, changed and this is not the best practice in social marketing. Efforts should be built on trust, engagement and community. The fact that you have a large following means your followers are interested in what you are offering. Instead of boring your audience with promotional content, consider sharing tangentially relevant content or content that involves common interests of your audience. Companies in the fashion industry, for example, can post about upcoming fashion trends or news. Making the lives of your followers easier is much appreciated and you can do so by posting tips and tricks. Offer tips and tricks that could help your audience use your products/services. So long as you do not just copy-and-paste content from other people, bouncing off ideas from other social media users can help generate fresh content for your network. Alternatively, you can search for posts that are relevant to your products or services and contribute to the conversations. This is one of the best ways you can make your brand and account more visible. If your company was recently engaged in or will be engaged in volunteer work, do not be shy to share that information. Any information that gives a sneak into the company’s community and culture will help build solid relationships. It helps humanize your brand. Do you have job openings? If yes, social channels offer a great way to find talent and also advertise job openings. This will not only help you get the right talent but also keep your social profile alive and interactive. If humor is not a part of your brand, steer clear of jokes. If you post humor, make sure your jokes are clean and actually funny. The question that most people have is on how often they need to share. Your frequency of sharing will depend on your audience, their appetite and what you wish to share. The frequency of sharing will also depend on the platform you are using. For example, the half-life of a tweet is determined to be around 18 minutes but this does not mean you post every 20 minutes. All things consider, you have to ensure you update your profiles frequently enough to keep your audience engaged. You should also not post just for the sake of posting. Engaging your audience is the most important part of social media marketing. You can do this by responding to user questions, mentions, commentary and so on. Another way of fostering engagement is creating data-driven content that addresses the unique needs of your audience. Learn more about your audience before sharing content with them. To make it easy for your users to find your content, cross-promote. Link your blog to your social properties and keep all your profile names the same. Cross-promoting your accounts will further increase visibility. To effectively promote your brand and have a consistent voice, you will have to know your audience first. You should then be human in that you don’t post like a robot. Integrating your campaigns in all your social profiles will further help solidify your brand as well as amplify your marketing efforts. The key to success in online marketing is earning familiarity, trust and likeability in your community. But how exactly do you do this? To give your audience a reason to invest in you, you have to show up and keep showing up. If you don’t demonstrate that you will stick around, they will not have any reason to stick with you. If every post you add is about you and your business, your followers will get bored. Posting something that is relevant to your audience but not to you can help boost trust and likeability. You have to be empathetic, real, kind, funny and respectful. People do not relate to bland personalities. If you feel automated, you will lose following. Your posts should add value to your audience. This makes you authoritative and a wanted part of the community. Offer answers to questions, offer assistance and go out of your way to help someone. From time to time, you will have to deal with bitter clients who might easily tarnish your online reputation if you don’t handle them properly. Considering how much social media can amplify an incident, you have to learn how to handle crisis. A lot more can be done to boost social engagement. However, you should use the aforementioned tips as guides to direct your actions. In all that you do, never take action without doing some research. Keep learning and keep engaging your audience. 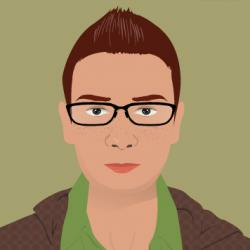 Jack Dawson is a web developer and UI/UX specialist at BigDropInc.com . He works at a design, branding and marketing firm, having founded the same firm 9 years ago. He likes to share knowledge and points of view with other developers and consumers on platforms.